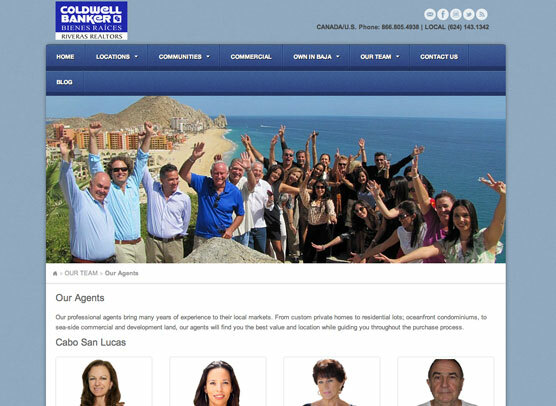 After our success with marketing Capella Pedregal, the developer asked us to follow up with several projects including a website for their Coldwell Banker real estate brokerage. 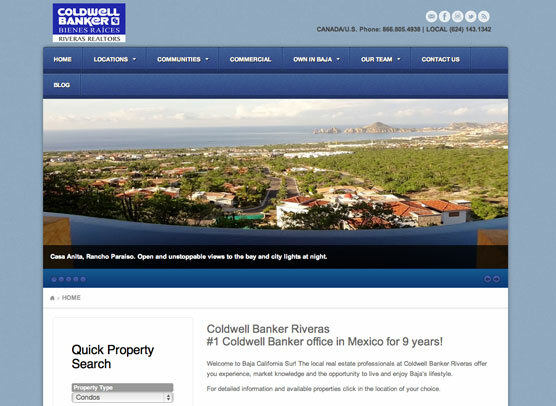 In the spring of 2009 we launched a new site which included a self-administered property listing tool and a current weather feature that covered their locations throughout Baja. One central administrative module allowed the client to manage two property listing websites as well as their various agents. 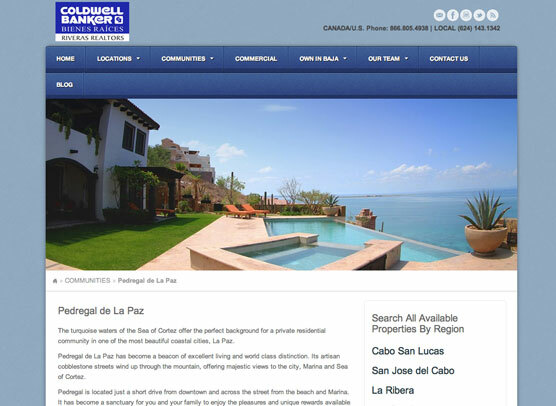 In 2013 we redesigned the website with economy and ease of management in mind. The need to integrate MLS listings for each location was paramount, and to feature the brokerage’s listings while including all listings in their markets and to make the listings easy to search. Etainia integrated a WordPress plug-in developed to integrate with the local MLS service and customized the layout and options for the client’s unique requirements. Agents are featured alongside the listings they represent and by their city. 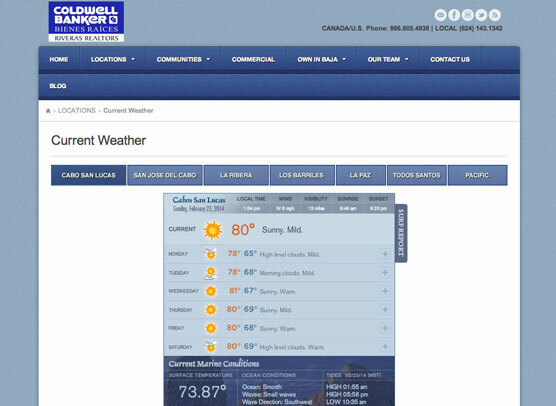 Best of all the client can manage their listings in one place, via MLS, and the website automatically updates. 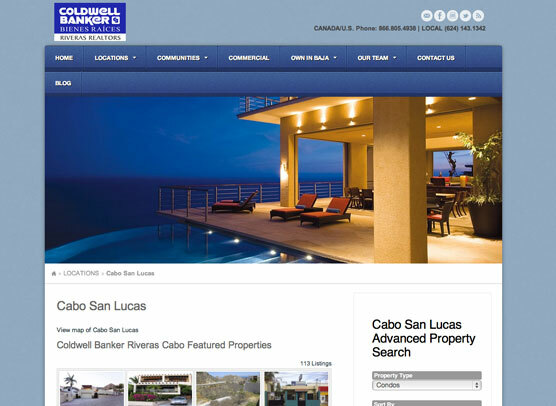 Their blog was redesigned to match the main website and interlink featured properties.